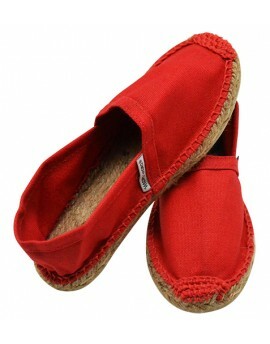 Espadrilles by size. Assorted colours. From 28 to 46. 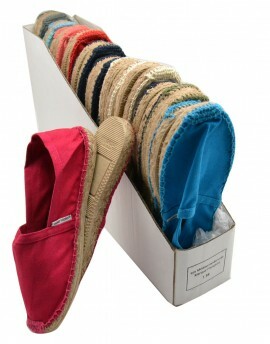 Espadrilles per size sold in display box. Assorted colours. Sizes : from 28 to 46 for Junior, Women, Men. Mora Mora, Wholesaler and international supplier in fashion accessories : bags, hats, shoes, espadrilles, aqua shoes, sarong, beach dress and summer dresses. A large selection of fashion accessories sold per packages, for professional only!